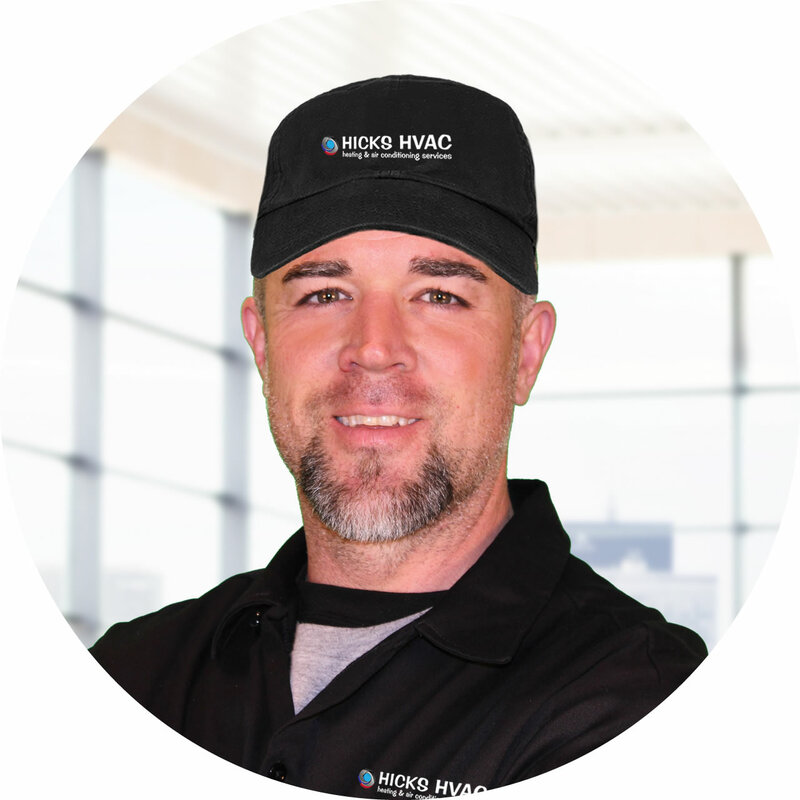 We are ready standing by to help when your heating or air conditioning unit needs repair or when it’s time to get a HVAC unit replacement. Hicks HVAC specializes in Heating and Air Conditioning Services. No matter the problem we have the solution. Our skilled air conditioning technicians specialize in diagnostics and will quickly have the correct solution to your air conditioning units problem. A well-maintained central air conditioning system will provide a family or business with many years of comfortable and healthy indoor living. Modern HVAC equipment is complex, and it is critical to select an installing contractor that understands the science behind air distribution. We recognize the significant investment our customers make in purchasing a new air conditioner, and we are committed to providing outstanding service and exceptional value. During the fall and winter months, middle Tennessee residents and businesses rely on their heating appliances to provide warmth and comfort while maintaining proper humidity levels and healthy indoor air quality. Purchasing a new furnace or heat pump is a significant investment, and it is important to select a dealer with extensive experience in both heating repair and installation. This includes a thorough understanding of capacities, design characteristics and energy efficiency ratings. Knowledgeable HVAC dealers help their customers choose equipment that will operate economically and reliably through many heating seasons. 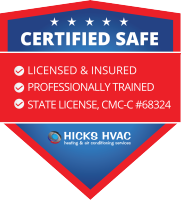 Before installing a heating system, a qualified Hicks HVAC technician will determine the proper BTU capacity of the appliance based on the requirements of the building. Equipment that is improperly sized can lead to excessive wind noise and inadequate air movement. 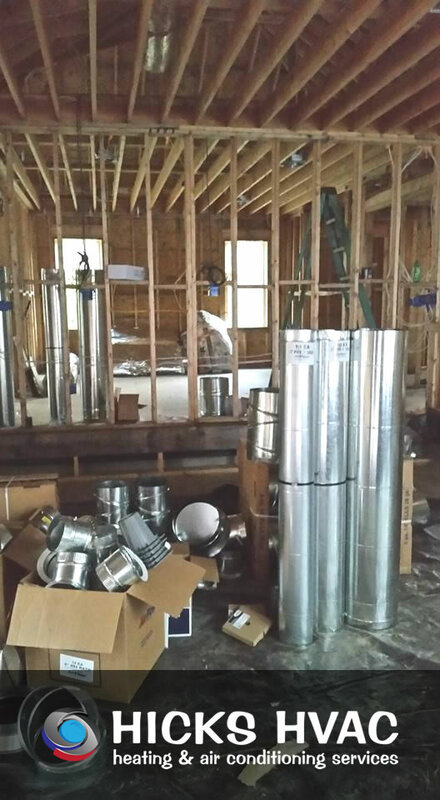 At Hicks HVAC, we complete an assessment of your home or office prior to developing a proposal. We often identify inexpensive measures that will help conserve energy and reduce the capacity requirement of your new furnace or heat pump. As a full-service heating and cooling provider, we recognize the importance of both air conditioning repair and installation. Air conditioners always seem to malfunction at the most inconvenient time, which is often during the heat of summer. 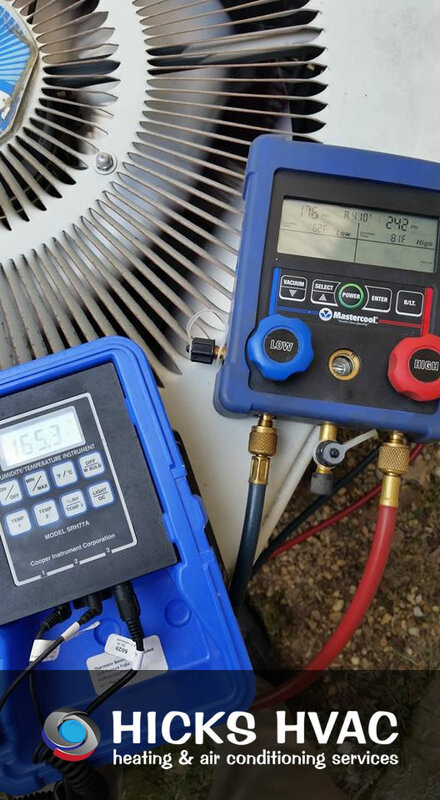 Hicks HVAC techs are courteous, live operators that understand the frustration associated with a system failure. Once they are dispatched to your home or office, out certified service techs will conduct a series of tests to quickly and accurately identify the nature of the problem. Our flat-rate pricing structure clearly defines the total cost of the repair and eliminates hidden surprises. To avoid ongoing air conditioning repair and installation problems, many customers choose to purchase an equipment maintenance agreement. The included semi-annual system tune up can help identify faulty components before they actually fail. During every visit, we inspect and test the electronics, motors, refrigerant lines, compressor and other moving parts. The unit will also be recalibrated and adjusted to meet the manufacturer’s original specifications. The advancement of HVAC technology has led to the production of air conditioning equipment that features improved efficiency and better climate control. In fact, a new air conditioner with a high SEER rating can save as much as 40% on annual cooling costs when compared to a unit that is 10 years or older. Free estimates on complete air conditioning unit replacement of your air conditioning system, and financing options are available. Just ask us! Hicks HVAC is ready to evaluate all your air conditioning needs. We’ll go over each and every step so you completely understand the process. We always Guarantee 100% Satisfaction and friendly affordable service!